Honor a love that has gone on for 50 years! 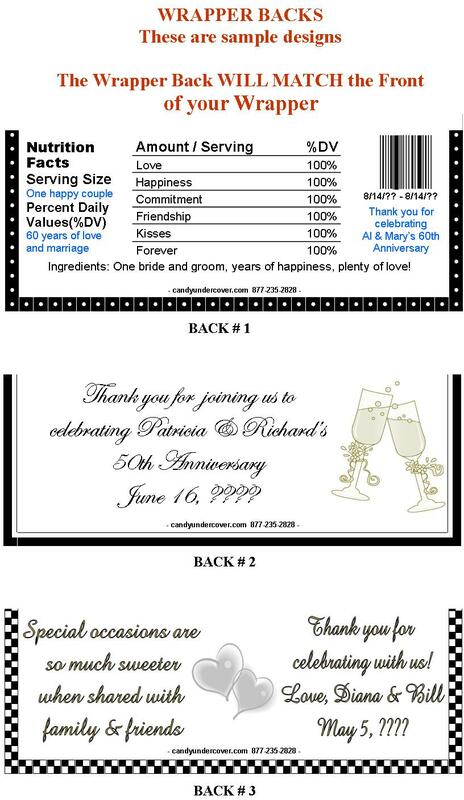 Celebrate those years of commitment with this beautiful gold and white bouquet of flowers on this pretty 50th Wedding Anniversary Candy Bar Wrapper. Complete with the anniversary couple's names, and dates. Whether you are celebrating your first, 25th or 50th Wedding Anniversary, this chocolate favor will be a wonderful addition to your celebration!